The built-in localization mechanism in the platform allows you to localize RadGridView control. 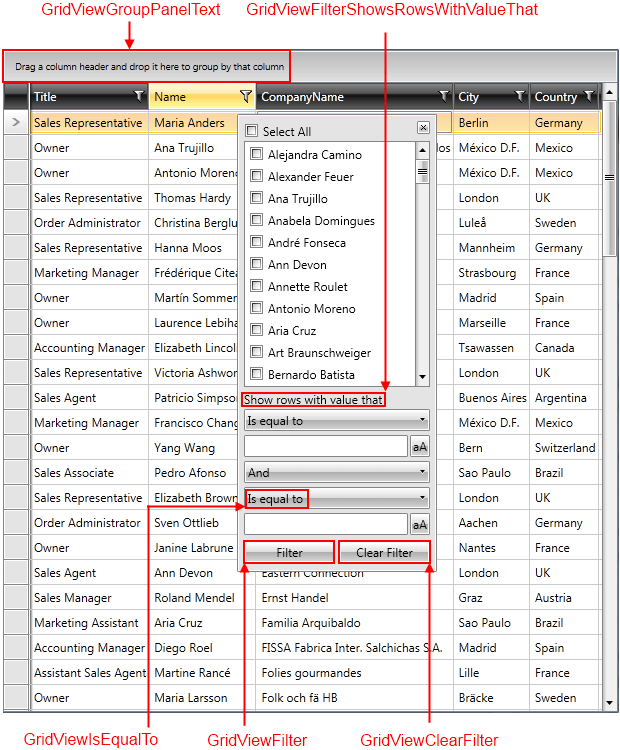 To learn more about the ways to localize the RadControls please read the common topic on Localization. In order to dynamically localize the GridView at runtime, you should recreate it. 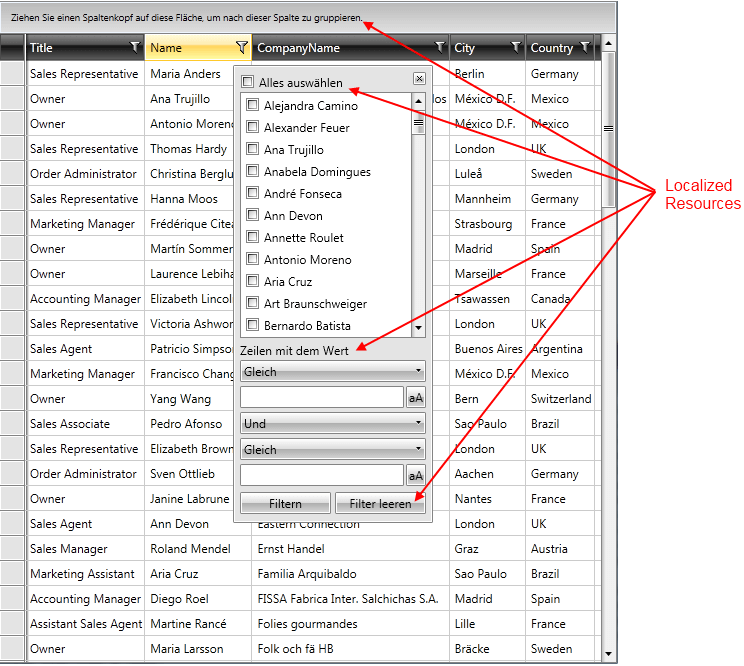 RadGridView is a complex user interface control and its strings for localization are numerous. In order to be able to distinguish these resources, an unique identifier, called resource key, is assigned to each localizable string. On the picture below you can see some of the resource keys and the strings they are associated with.